Cool Scratch Projects in easy steps is an awesome book. The projects are really impressive. This is a fairly advanced Scratch book. A lot of children now learn Scratch at school and some are ready for something a bit more advanced at home where they have more time available and a bit of support. I tried out the book with my 9-year-old who has quite a bit of Scratch experience but is more of a tinkerer than an instruction follower! However, he was drawn to the book because it’s packed with neat techniques that he’ll be able to apply if he takes the time to learn them. The projects, especially the later ones, are very meaty. There’s lots of code to work through and kids need to really pay attention to instructions. The level of difficulty was about right for my son though he found the volume of code quite daunting at first. The majority of the book gives detailed instructions on exactly what code to enter. This means that kids can create quite impressive projects. Some children won’t understand everything they are entering, but that’s okay, they’ll pick up more over time. My 9-year-old found some of the Scratch blocks quite hard to focus on in the print edition (they’re not all the same size.) I helped him keep track of where he was by reading out instructions and he was fine. It is a lot of information to take in. That’s not a bad thing, following detailed instructions carefully is a great skill to have. My favourite thing about the book is that it spends lots of time on creating graphics using the paint tool in Scratch. This is something I always try to encourage. In my experience young kids are very happy to experiment with the paint tool and create their own sprites and backgrounds. Then somewhere around age 9 they start to think that the graphics they can create are rubbish and just want to use images they can find online. It’s important to teach kids digital arts skills so that they do have the skill to create graphics that they think are good enough. Cool Scratch Projects spends lots of time on these skills which is fantastic. The printed edition of the book comes with a pair of 3D glasses because some of the projects involve creating 3D effects. This is a great idea and instantly appealed to my son. Although the book is recently published it refers to Scratch 1.4 on the Raspberry Pi. Scratch 2 is now available on the Pi so you don’t have to use Scratch 1.4. Some projects say that they can’t be completed on the Pi but they can (except on older models.) Technology does keep moving on! At the moment there’s no support for programmatically taking photos on the Pi in Scratch 2 (I hope it gets added) and one of the projects does use that feature so you’ll still need Scratch 1.4 on the Pi for that one. The book also includes a taster of Scratch Jr. I guess this is so younger siblings can join in. Cool Scratch Projects in easy steps by Sean McManus is a fantastic book for more experienced scratchers. The steps are fairly easy, but there are a lot of them! Kids will need to invest quite a bit of time to work through all the projects which makes the book good value. I often say that there’s no hurry to move children on to text-based programming languages. Cool Scratch Projects is a great way to keep kids on the Scratch platform for longer. You know those really amazing Scratch projects that kids are always in awe of? This book is a great step towards learning the skills that are needed to be able to develop projects like that. This easy to follow practical guide in a proven and popular series aims to help managers draw up and follow communications strategies to get across their key messages in the workplace and outside. 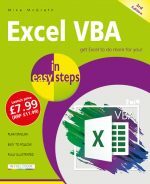 One of the authors has already written over 80 practical guides for the In East Steps series and has clearly honed his skills in effective and clear writing. Aimed at new and middle managers, this text would also be useful to those senior managers who may have missed out first time round on I.T. skills and want to catch up on the web, U-tube and social media. There are two welcome guidelines from the authors in the contextual introduction, firstly that managers must take an ethical approach, being honest and open, in all communications and secondly that plain English should always be used. The various channels of communication are reviewed and the following chapters then give step-by-step instructions, with illustrations in colour, on creating a communications strategy and, usefully, guidance on how to evaluate its effectiveness, a key task in the plan-do-review cycle. The plain English message is reinforced in a chapter on avoiding corporate jargon. The authors then move on to specifically electronic communications, with instructions on setting up a website and writing for the web. There is a useful chapter to help managers decide whether to buy in a content management system and if they do so, how to project manage the process and remain in control. Finally two short chapters cover using video in embedded form or via YouTube and how to get the best from social media. The ‘In easy steps’ series are clearly printed with icons for hot tips, things to beware of, and things to remember. They are also available to download and further resources are available on the publishers’ website. Although the series is published in England and the majority of the examples and further resources are British, the text uses US spelling, perhaps a reflection of the international distribution of this popular and useful series. In 130 pages of large well-spaced text with lots of cartoon-type illustrations, Effective Negotiation lives up to its claim of treating the subject in easy steps. “I bought this book in the hope of building my own blog and it really helped me learn the basics, as well as some cool features like building my own online store. I never knew you could actually do so much with WordPress. The book starts off slow and introduces the user to WordPress at a beginners pace, which was great for me. “This book is very simple and easy to understand. It takes the reader through some simple steps in time management. This book is aimed at all levels of management with some helpful advice on delegating, planning and reflection. The book is clearly laid out with step by step advice, set out in a concise order with clear illustrations. 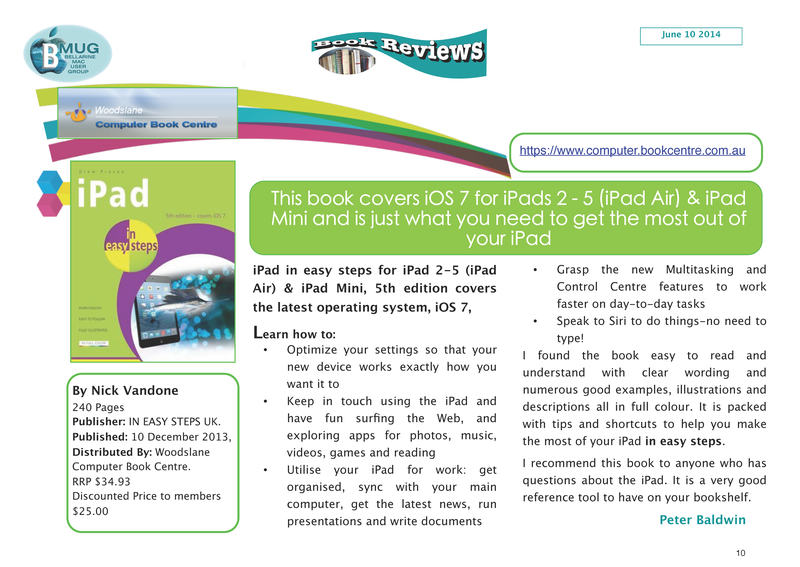 Read the reviews by the Bellarine Mac User Group (BMUG), Australia, on iPad for Seniors in easy steps, 3rd edition and OS X Mavericks in easy steps. Read the review on Scratch Programming in easy steps by I Programmer (an online magazine for programmers) here.